Your credit history tells a story about you. Whenever you apply for a mortgage on a new home, look into opening a personal loan or line of credit, or negotiate financing on a large purchase (such as a car or other vehicle), your credit history is one of the first things lenders will consider. The amount of debt you carry, your repayment history, your personal income, and, perhaps most importantly, your current credit score, all tell lenders essential details about your financial behaviour. They can then use that history to determine your potential to repay a loan in full and on time. If you’re looking into a car loan, having good or bad credit will almost certainly affect your car loan interest rate. Understanding how lenders in Canada look at your credit history is the best way to get the fairest interest rate on your car loan. Your credit status is defined by how much lenders can trust you to repay money you’ve borrowed. If you’ve defaulted on loans or missed payments, undergone bankruptcies or tax liens, or had legal judgments against you, lenders will view you as less trustworthy than someone who has always met their payment obligations. To calculate this trustworthiness as a measurable metric, credit bureaus or entities, such as Fair Isaac Corporation (FICO), track your past and present borrowing behavior to generate a three-digit score that represents your overall creditworthiness: your credit score. Credit scores usually range from 300 (the lowest) to 850 (the highest). A score below about 620 is considered fair or poor. According to TransUnion, the average credit score in Canada is about 650. Knowing your credit score, and checking it before shopping for a car loan, helps you understand how you appear in the eyes of potential lenders. In Canada, you can obtain your credit file by mail from one of the big credit reporting bureaus, TransUnion or Equifax. By law, we’re all entitled to a free report every 12 months. However, you should be aware that this credit score is only a generic educational score. It’s intended to give you a sense of your creditworthiness based on information such as your payment history, amount and length of credit history, credit mix, and other factors. While these scores are important to track, this score may be different from the one a potential car loan lender is using to determine the terms of your financing. Before a lender approves you for a new car loan, they want to know how reliable you’ve been in paying your past debts and loans. For this, they look to your credit score, among other indicators. A good credit score can help you qualify for lower interest rates; a poor credit score might result in a much less favourable rate. 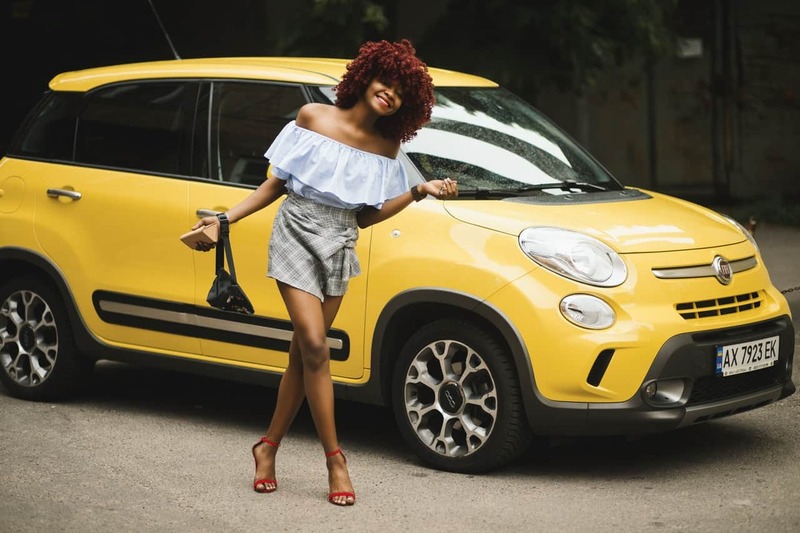 What might not be immediately obvious is that lenders financing car loans often use different credit scores than those provided by credit bureaus or financial institutions. Entities like FICO or TransUnion offer specific credit scoring models called “auto-enhanced” or “auto-industry” variants. These are credit scoring models meant for auto lenders, which are assessed along a slightly wider scale. Along with the factors used in determining regular scores, auto loan lenders are interested in factors specific to whether borrowers will default. These may include: bankruptcy history or potential, short credit history or signs of obvious recent credit repair, and any history related to vehicle ownership, such as late car payments or repossession/collections on car loans. What Affects Car Loan Rates? According to Consumer Reports, buyers designated as top-tier were paying, on average, less than 3% on new car loans. Meanwhile, subprime borrowers, on average, paid more than 13%. That adds up to a significant difference in payments over the duration of a loan. Unlike a standard credit score, there is no law requiring these auto-industry scores be made available to the buyer. However, these scores are based on the same basic information included in a regular credit report, so any efforts to improve your credit history will also be reflected in this auto-specific score. Monitoring your credit score is the best way to know what may be affecting your eligibility in the eyes of potential lenders, and what may be having an impact on your interest rate. Get your credit report through a bureau, such as Equifax Canada or TransUnion Canada. If information appears in this report that isn’t true, you may need to contest it and clear your record with the credit bureau. Remember, anything that improves your credit score will likely also help the terms of your loan. Even though many credit inquiries over time can affect your score, don’t worry about it in the context of vehicle shopping. Multiple inquiries in a limited timeframe, usually 14 days, counts as one credit inquiry. Having bad credit is definitely a hindrance when shopping for your next car. Remember, when you sit down to discuss financing options, dealers might be more willing to negotiate than you think. Don’t forget, they want your business, and there are many dealers out there offering just as many financing options. So, even if a past of bad credit is haunting you, you can still cruise confidently into the future.